We propose a new method for shared RSA signing between the user and the server so that: (a) the server alone is unable to create valid signatures; (b) having the client’s share, it is not possible to create a signature without the server; (c) the server detects cloned client’s shares and blocks the service; (d) having the password-encrypted client’s share, the dictionary attacks cannot be performed without alerting the server; (e) the composite RSA signature “looks like” an ordinary RSA signature and verifies with standard crypto-libraries. We use a modification of the four-prime RSA scheme of Damgård, Mikkelsen and Skeltved from 2015, where the client and the server have independent RSA private keys. As their scheme is vulnerable to dictionary attacks, in our scheme, the client’s RSA private exponent is additively shared between server and client. Our scheme has been deployed and has over 200,000 users. The paper was published in proceedings of the conference ESORICS 2017, Oslo, Norway, September 11-15, 2017. The paper contains several pages of cryptographic proofs. The RSA key generation involves “l-safe” primes, which is not a standard practice in generating RSA primes. This is worrisome, especially after it became known that the flaw in ID card was caused by other instance of nonstandard RSA prime generation. This entry was posted in Cryptography, Research Articles and tagged Ahto Buldas, Aivo Kalu, Mart Oruaas, Peeter Laud on December 11, 2017 by user469294. This study is a natural continuation of three previous studies conducted in 2011, 2013 and 2015. 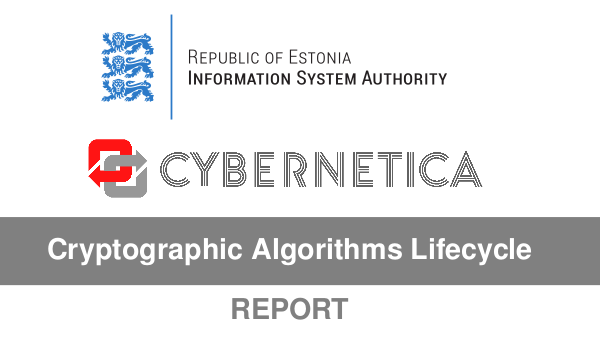 The fourth version of cryptographic algorithms life cycle study published on June 9, has more than 10 authors and has 163 reference source. The 2016 report is the first one in its sequence to be written in English, because the study is unique on a global scale, and the previous versions has been of great international interest. The Dutch DigiNotar case in 2011 demonstrated the hard choices a country faces if a PKI supporting its government’s IT systems is compromised. [..] Therefore, it was decided in 2011 to assemble a scientific task force to analyse the problems and risks that reliance on cryptography is posing on the sustainable functioning of our society. The transportation cards in Tallinn are built on MIFARE Classic, whereas in Tartu MIFARE Ultralight C cards are used. However, even though both of the cards support cryptographic authentication, this functionality is not used. In both cases, the protocol running between the card and the reader is essentially the same, consisting of transmitting the card’s unique ID and a signature. [..] While this measure prevents unauthorised parties from issuing new cards, it does not stop the card cloning attack. [..] Cloning a card that carries a monthly ticket causes direct financial loss to the transportation service provider and must hence be urgently addressed. Even though the ID fields of transportation cards are not writeable, other fields may be. This is for example the case with Tartu bus cards that allow e.g. the signature field to be overwritten by a standard app working on a regular NFC-capable smartphone. As a result, the card will become invalid, giving us a potential Denial of Service attack. 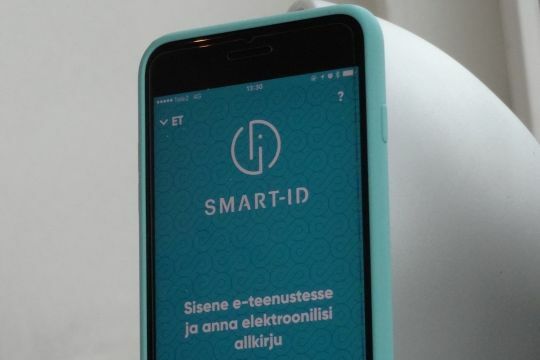 Interview with a company installing NFC-based access control systems revealed that it is common practice to use same keys also in several installations, making e.g. door keys of one company work at the door of another company, too. This entry was posted in Cryptography, Multi-party Computation, Physical Security and tagged Ahto Buldas, Anto Veldre, Jan Willemson, Johannes Heinsoo, Kaur Kullman, Kristo Heero, Mari Seeba, Peeter Laud, Riivo Talviste on June 14, 2016 by user469294.